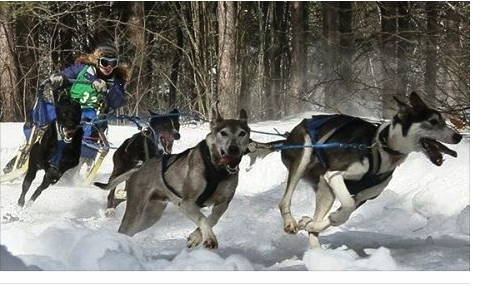 What Is Sled Dog Racing? 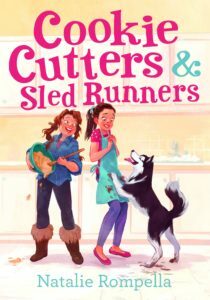 In about two weeks, my new middle grade novel, Sled Runners & Cookie Cutters comes out. The book takes place in the Midwest and features sled dog racing. If you’re like my character, Ana, in the book, you might have not even known sled dog racing existed in the Midwest. It sure does! There are three main types of sled dog racing: long-distance racing, mid-distance racing, and sprint racing. My book is about sprint racing. What’s nice about sprint races is you often get to see both the beginning and the end of the race. Races are usually less than thirty miles long. The races I watched, however, were closer to eight miles. Because the trail went in a circle for the races I attended, spectators could see both the beginning and end of the race relatively in one spot. As I opened the car door, the frigid air and the sound of millions of dogs barking and howling rushed in. I took in the noises that had become a melody to me over the weeks of practice. Wow. There were dogs everywhere. In boxes in pickup trucks. Attached to drop chains on picket lines going from trucks to nearby poles. Some dogs were being walked; others were in kennels. Everywhere you turned: dogs, all waiting for their race to begin. That part is exactly how I felt and what I saw. Sled dog races are a blast to watch. And although it’s a competitive sport, that’s not the vibe you get when you’re there. Everyone was more than willing to answer my endless questions. And I sure asked questions. Although my story is fiction, it required a TON of research. Luckily, research can be fun. I traveled to Alaska to see first-hand a long-distance race. 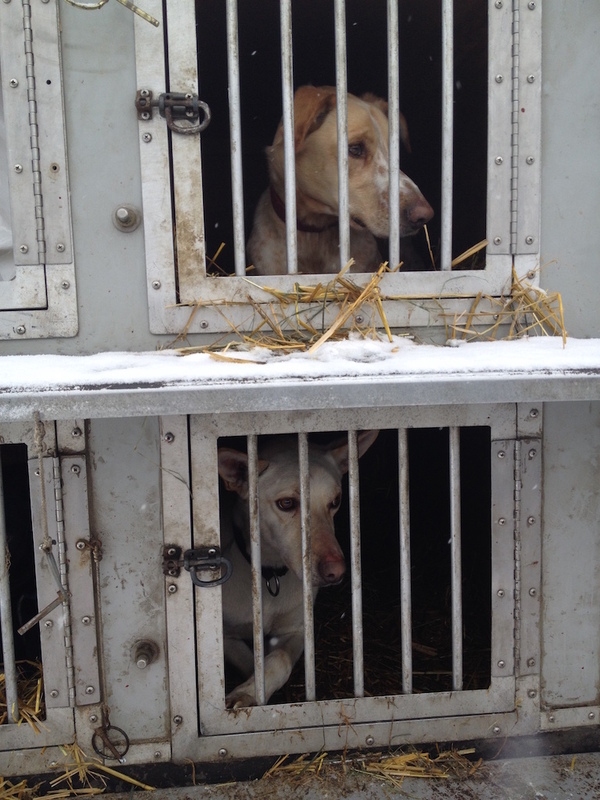 I got to be “backstage” as mushers prepped for a 975+-mile journey. I went to races in the Midwest to see what spring racing was all about. I visited a sprint-racer’s home to see the set up of the kennel. And I followed mushers on Twitter and Facebook to hear the jargon used. I am excited that all my research paid off. In Cookie Cutters & Sled Runners, readers learn all about sprint racing in the Midwest along with Ana. Great for eight to twelve year olds.